It is with great sadness that I learned my friend, Alex King passed away last night. We were fortunate to visit him and his family last month in Colorado. Alex and I shared a love for photography and technology. 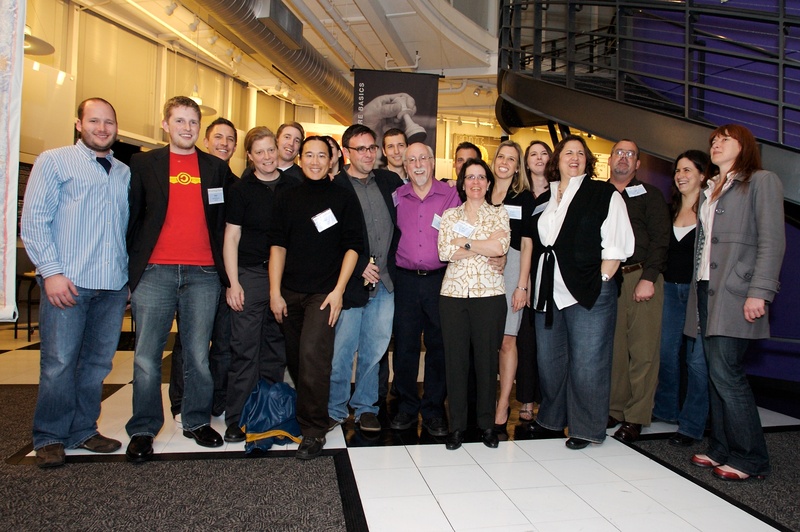 We worked on many projects over the years, including the original AllThingsD website for Walt Mossberg and Kara Swisher. 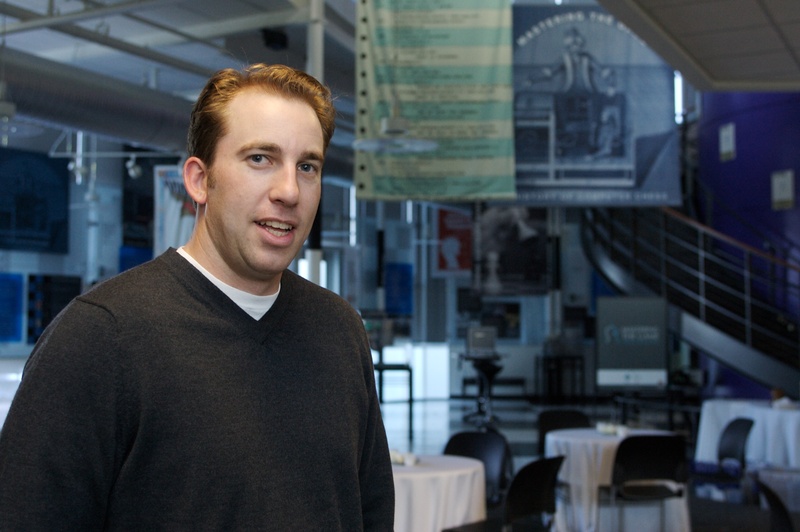 His work in the WordPress community helped make WordPress what it is today. Alex, you will be sorely missed. My thoughts and prayers go out to his family. I first met Alex through a mutual friend, Eric Cheng, who was working at E.piphany. I learned from Eric that a co-worker of his was looking to buy a digital camera. I happened to be selling my Canon EOS-D30. So, on February 7, 2002, I went to the office to meet up with Luke. 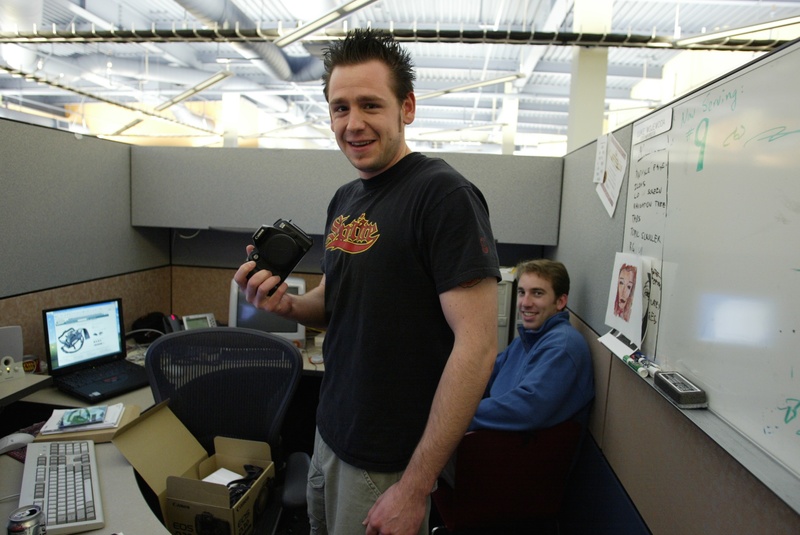 Meeting Alex King for the first time while selling my Canon EOS-D30 to his cube mate. This is how I met Alex for the first time, as he was Luke’s cube-mate at E.piphany. Little did both of us know at the time, but our paths would cross many times in software, photography and friendship over the next decade. Alex and I worked on several projects together in the early 2000s. We hacked together an application called Read it to Me, which created MP3 files from unread items in one’s NetNewsWire RSS feed using Apple’s Text-to-Speech feature. Alex also gave me the idea to develop MsgFiler, an application that allows OS X Mail users to file their messages to mailboxes quickly using only the keyboard. It’s since become one of my most popular software applications, with thousands of devoted customers around the world. 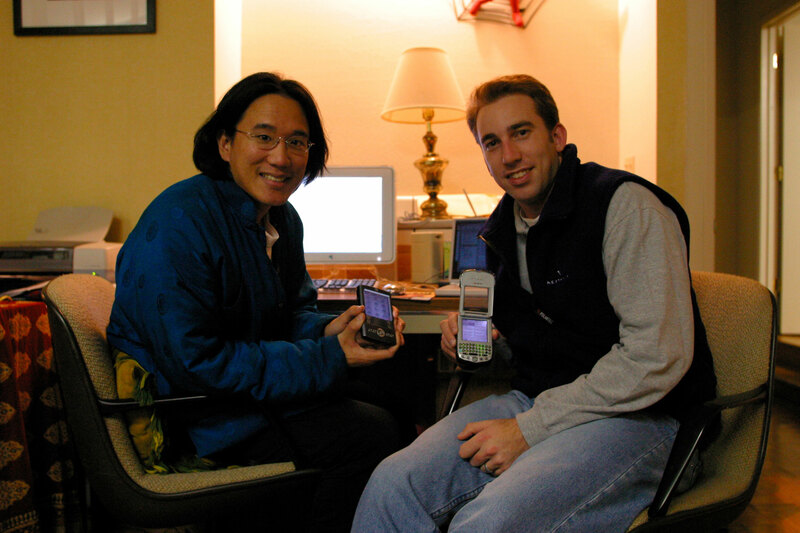 Holding up old Palm and Handspring devices in Cupertino on January 23, 2003. The one Alex is displaying is actually a phone! 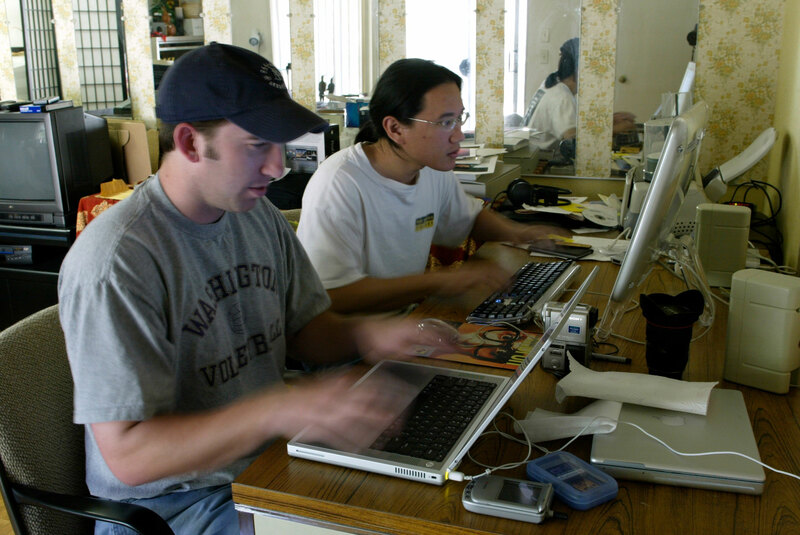 Furiously typing away on our keyboards for the camera’s sake on February 26, 2003. 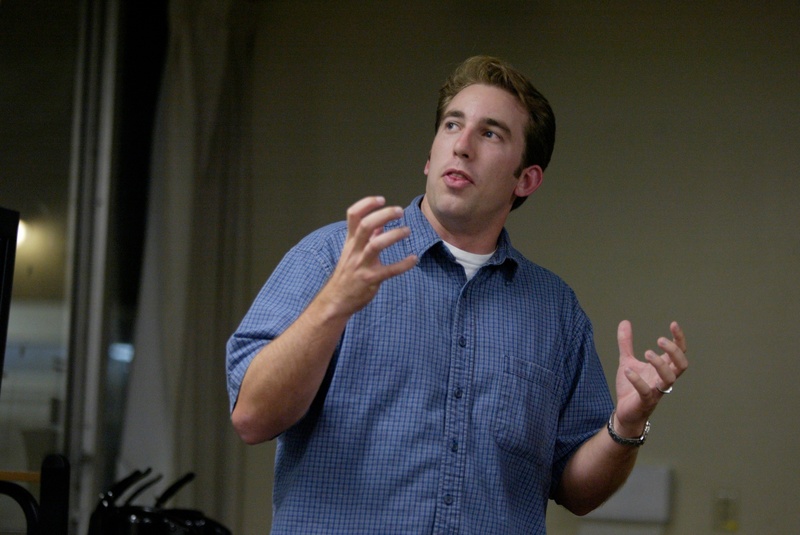 In 2003, I was spending the year as a Digital Vision Fellow at Stanford University. 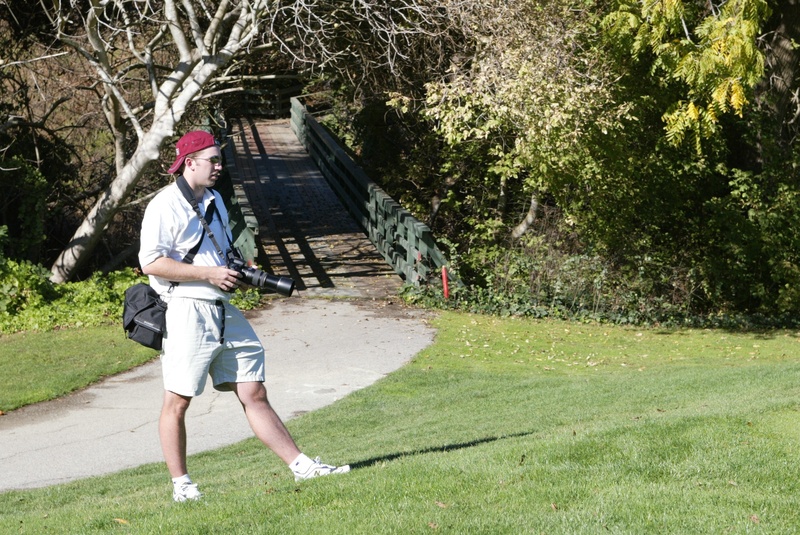 I was also doing photography for the campus newspaper and was tasked to photograph the Stanford Golf team during the Nelson Invitational held at the Stanford Golf Course on October 26, 2003. Knowing that Alex was an avid golfer, I invited him to tag along. For both of us, it was our first time photographing a golf tournament. He gave me a number of tips about shooting golf, and his photos turned out much better than mine that day. We followed two groups of Stanford golfers, Pat Phillips and Brandon Lawson and Matt Savage and Scott MacDonald, through the front nine before calling it a day. I figured that there would be crowds of people following the matches, so I was surprised to see that it was just the two of us for much of the morning. Photographing the Stanford golf team with Alex. 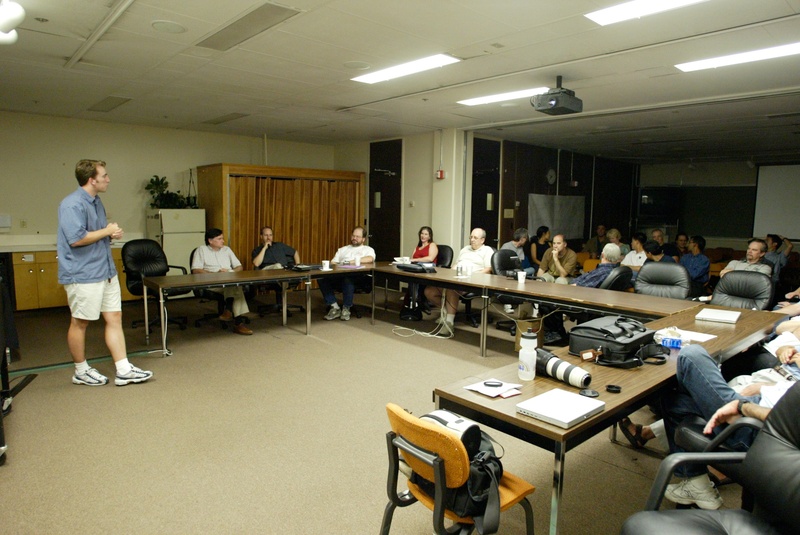 In August 2003, Alex spoke at COBA, the digital camera user group I ran, about his Photos web application for managing, storing, cataloging and retrieving digital photos. Alex spoke at my Camera Owners of the Bay Area user group. Alex wanted a headshot of himself done for his website. On December 19, 2003, he came to my house in Cupertino. We set up the lights and camera in the living room and started clicking away. The photo to the right was the last shot of the day and the one he most liked. Alex used this photo for nearly a decade as his digital avatar. It remains one of my favorite photos of Alex. I took the photo of Alex that he used for many years as his online avatar. 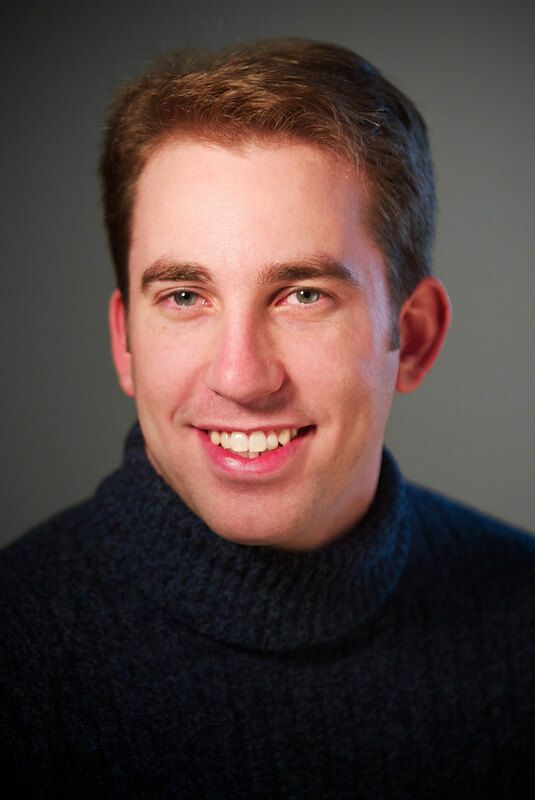 Here are three other photos that we took during the portrait session that winter afternoon in the Bay Area. Near the end of 2006, Alex emailed me and asked me if I wanted to work with him on a large WordPress project with Walt Mossberg and Kara Swisher, two prominent journalists at The Wall Street Journal. They were creating an online extension to their popular D: All Things Digital conference called AllThingsD.com. I jumped at the opportunity to work with Alex again, as I had recently left a startup a few months earlier. This opportunity directed the path of both of our careers for almost a decade. 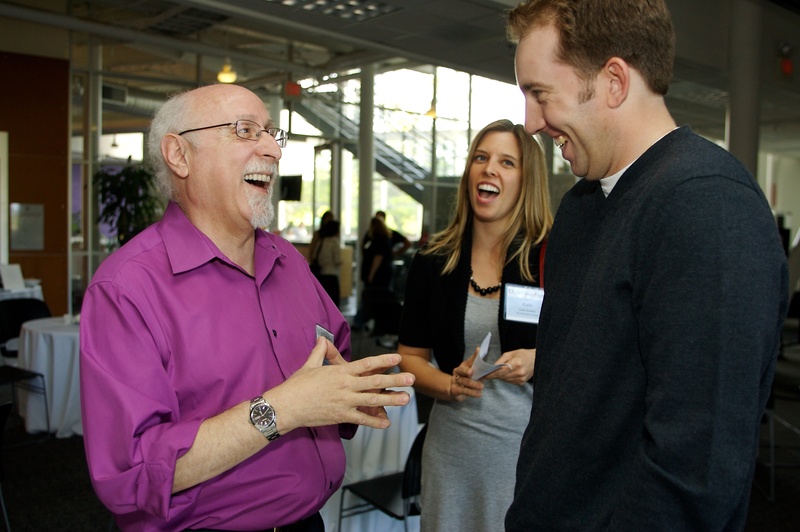 I continued to work with Walt and Kara at AllThingsD.com, Recode, and Vox Media. Alex launched Crowd Favorite, and it went on to do great things within the WordPress community and beyond. It’s safe to say that I owe Alex an incredible debt of gratitude. I don’t know where my professional career would be today had we not worked together on this project. 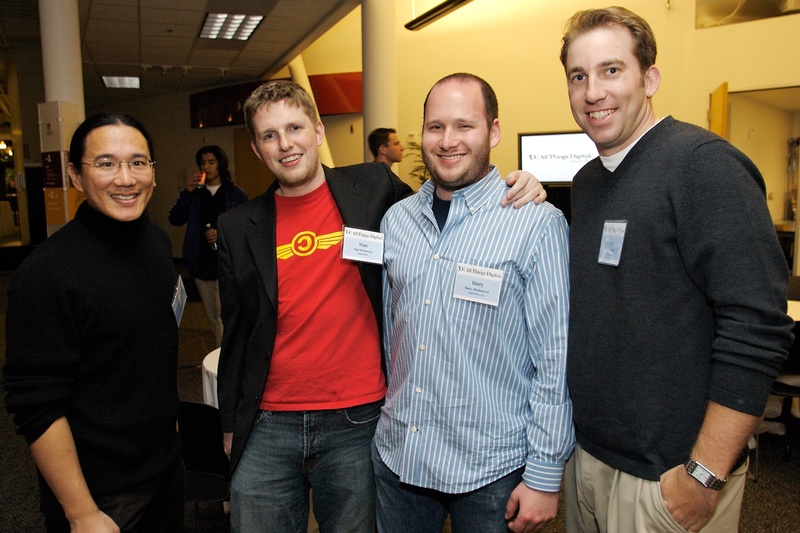 The AllThingsD Launch Party in April, 2007. Alex with Matt Mullenweg, Barry Abrahamson, and me. Here’s a collection of photos of Alex that I have taken. Since moving to Colorado, we’ve tried to meet up whenever he was in the San Francisco Bay Area on business. Alex stopped by our house on one of his many trips to the Bay Area. Alex on a visit to the Bay Area. Is that a 21″ MacBook Pro? Visiting Alex in downtown Denver. Rae and I returned to Colorado in 2015 with our son Dashiell. 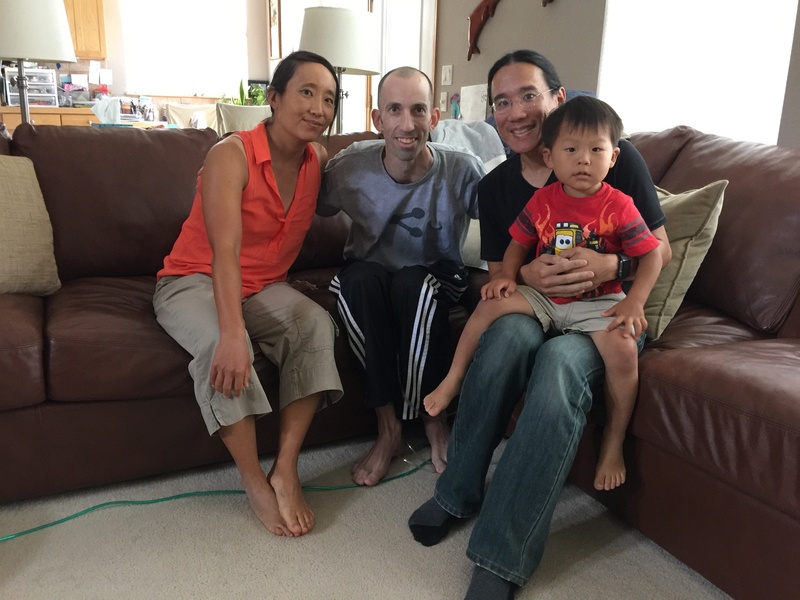 We were fortunate to visit Alex, his father, Heather and Caitlin at their home in Arvada. I finally got to see his custom-built office desk and basement. We reconnected like it was old times, and I’ll cherish our talk forever. Hi Adam. Condolences for your friend passing away yesterday. Glad you got to visit with him last month in Colorado and share a lot of good times. May he rest in peace and that his family is doing ok. Thank you for sharing. I especially enjoyed seeing Alex’s lovely smile in the photos remembering happier times. The Web Won’t Forget Alex King | Holy Shmoly! I am really very Sorry that I missed Alex! I just started to know him and hoped to learn from him but now he is no more…I really miss a Great person and opportunity to learn from. Hope in next we will meet in the Heaven “Alex” Good Bye. Adam, thank you for sharing. As you know, Alex was an amazing man, an inspiration to many people, and a thoroughly honorable and good person. I will miss his enthusiasm and the alacrity that he brought to even the most mundane of tasks. He had a rare ability always to have a vision for the best possibilities. I always found him rare in business. He was straightforward, trustworthy, brought no ego to the table, and was always sensitive and empathic in any situation. He had a keen eye for design and what “looked right”, and paired that with a sharp intellect. He worked hard, and had an innate ability to nudge projects through to their successful conclusion. Earlier this spring we both said how much we’d love to work on a project together again—I am sad that will not now happen. My thoughts are with Heather and Caitlin at this painful time. The Web Won’t Forget Alex King – Something Odd!